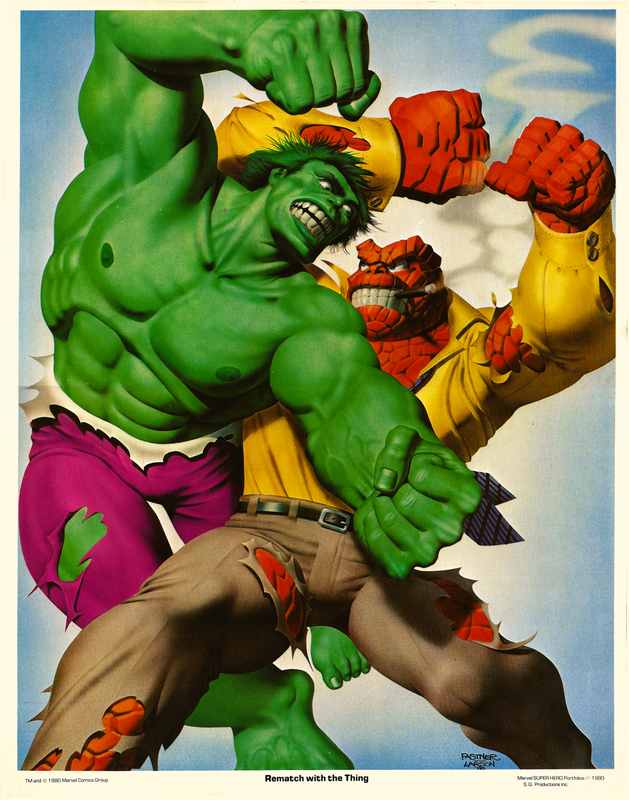 The Incredible Hulk Portfolio, Set One (1980) | 'TAIN'T THE MEAT… IT'S THE HUMANITY! 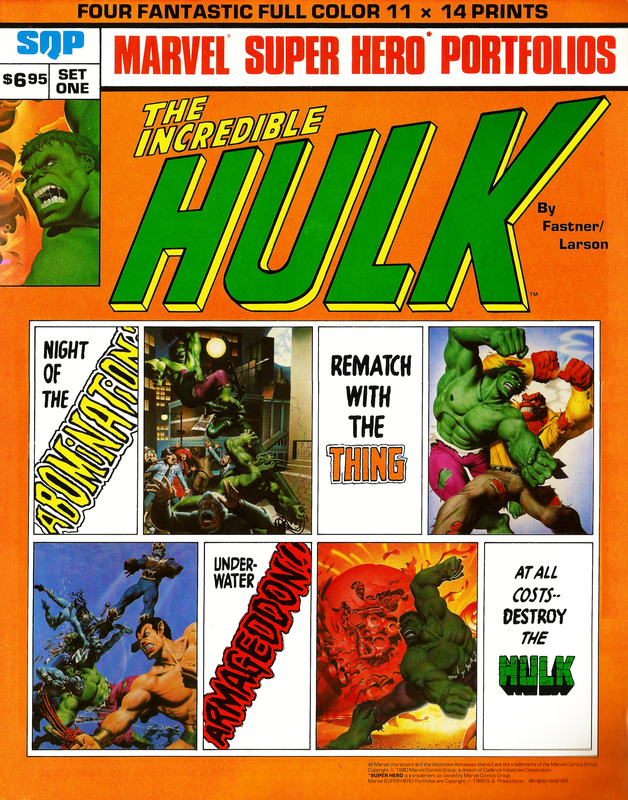 Published in 1980 The Incredible Hulk portfolio, set one (there wasn’t a set two) featured four 11in x14 inch colour prints on high quality paper stock painted by the artist partnership of Steve Fastner and Rich Larson. Another portfolio featuring The Uncanny X-Men was released at around the same time and also featured artwork by Fastner/Larson (with John Byrne providing pencils for one of the prints). 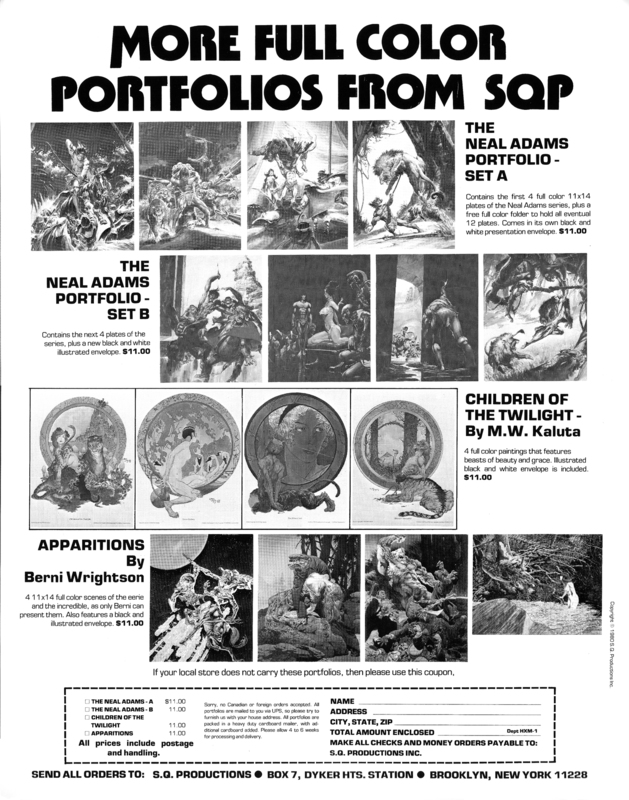 The portfolios were published by New York publisher SQP who are still in business and specialise in fantasy art books, including those by the two artists. 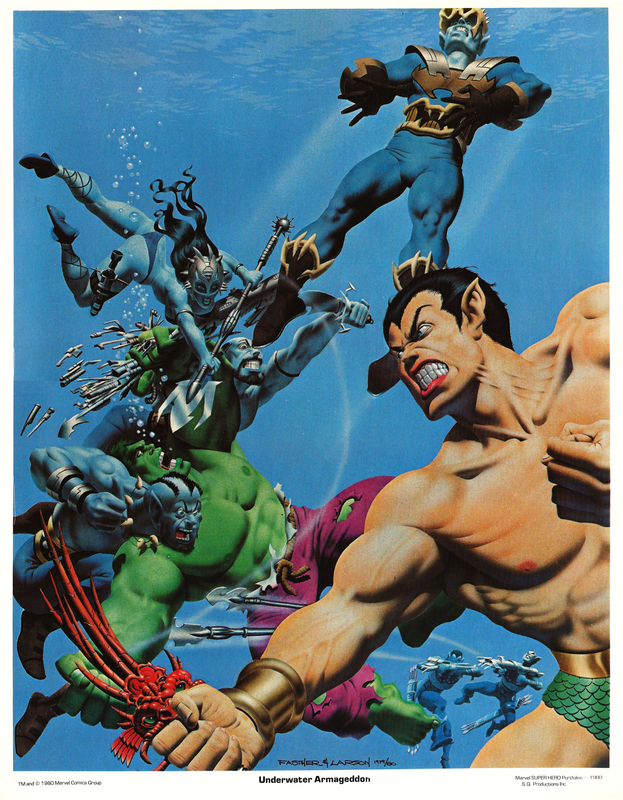 Only four full-colour portfolios were released in this series: this one starring The Hulk; two with the X-Men (Set One, Set Two) and one featuring Spider-Man. This set and the first X-Men collection are my favourites. 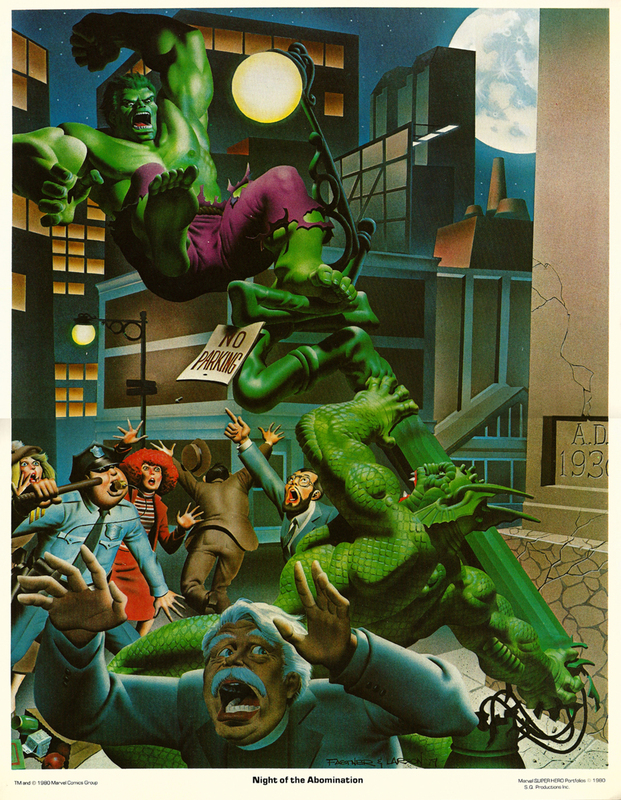 All four plates in this portfolio are well painted and feature The Hulk in action-packed scenarios – plate four (“At All Costs – Destroy the Hulk!“) works particularly well I feel. 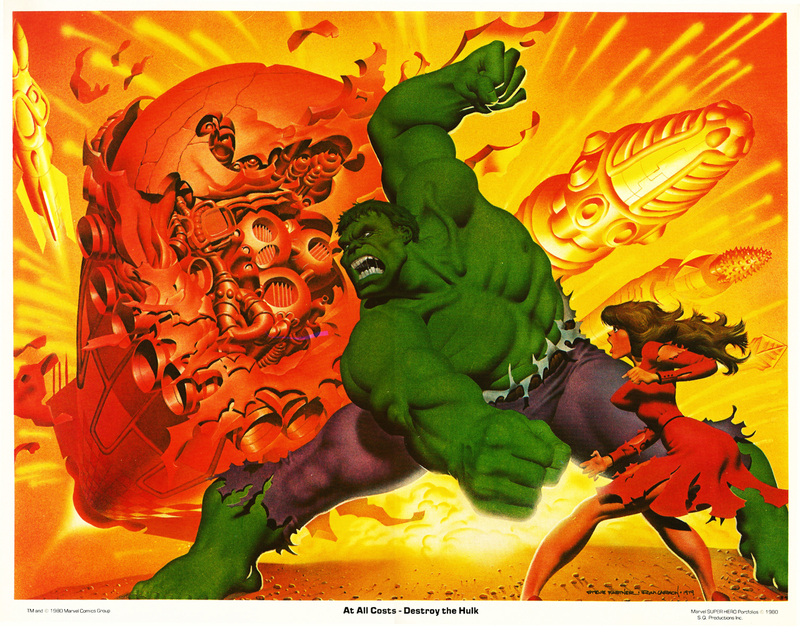 New copies of The Hulk portfolio can be found on ebay for around £20 but beware, some unscrupulous sellers have broken up the set and are selling plates individually. I’ve a couple more Marvel portfolios and I’ll be looking at them in more detail very soon.